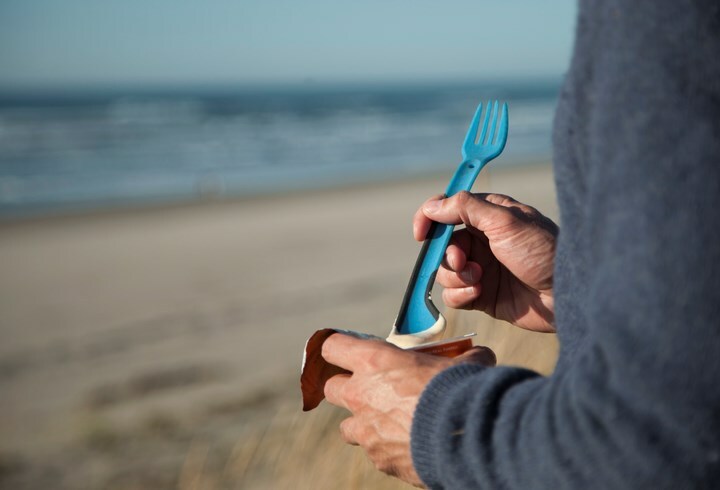 Introduced by the team Hadron Gear, The Morsel spork is a spoon, fork, knife and spatula hybrid. 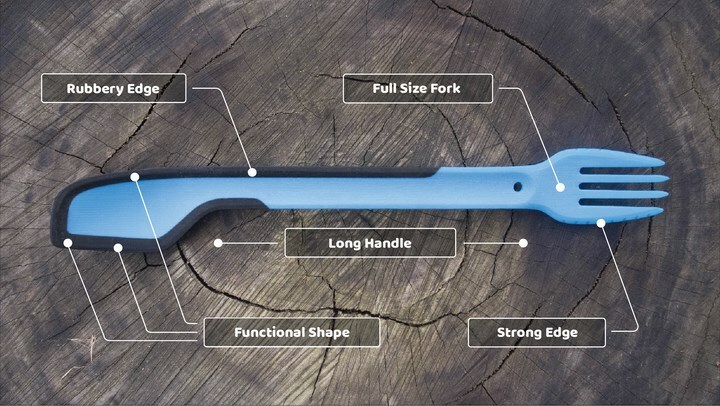 This unique fork is an all in one camping utensil that can fit in any sort of container. 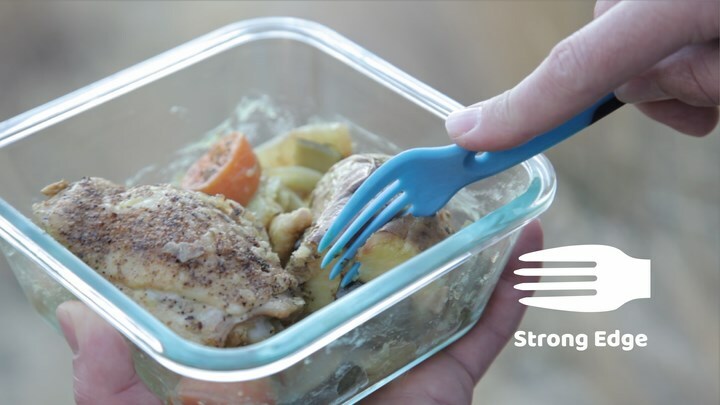 It is made with a rubbery edge from the durable and flexible BPA-free food-grade materials. The soft materials will mold into crevices in food containers to get every last bite. 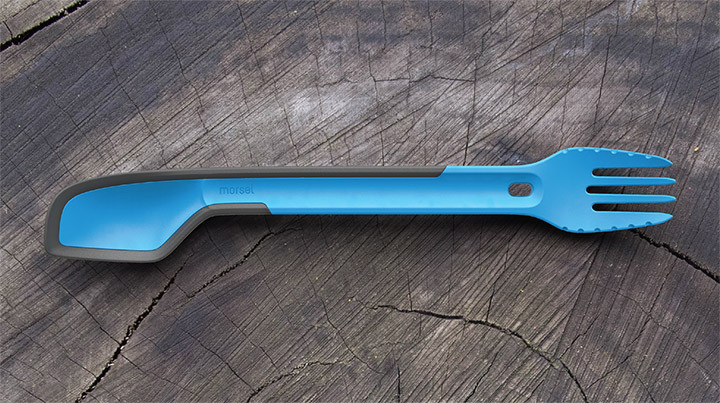 The long 10.5-inch handle allows you to reach well into most containers as well act as a spatula when in need. The unique shaped spoon gives you the ability to reach corners of cans and bowls etc. 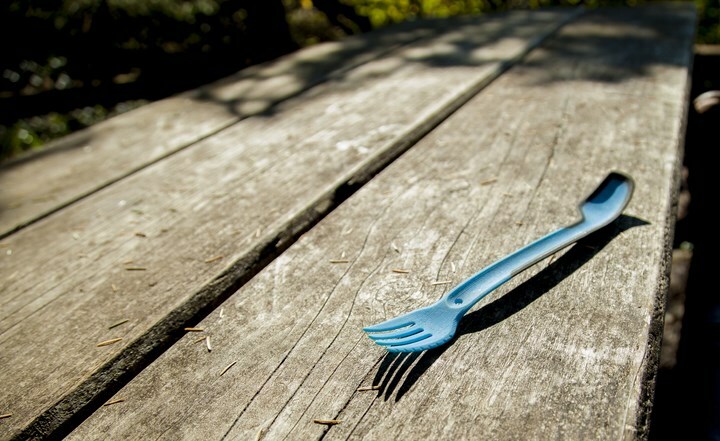 Meanwhile, the fork also has a safe cutting edge, will let you do a little cutting with your food.